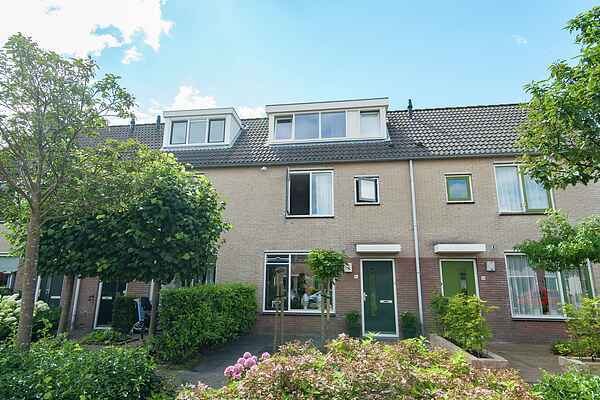 This charming holiday home is located in the North Holland town of Limmen, famous for its flowers, and boasts many attractive features that make it the perfect holiday destination. It is located within cycling distance of the beach at Castricum aan Zee and close to lovely city of Alkmaar, known for its cheese. You will be staying in a spacious residence with a central location. The supermarket, the bakery, and the butcher's shop are all within walking distance, which means you can enjoy a fresh breakfast every morning in the southern garden. There is plenty to enjoy in the living room as well. In the seating area, which is equipped with a Smart TV, you can relax and chat about your busy day while enjoying a bite to eat and a drink. This holiday home has the perfect location for the lively holidaymaker—you walk right out into the charming centre of Limmen and Castricum aan Zee is just 7 kilometres away. Limmen is the centre of flower bulb farming. This is why the Hortus Bulborum, a botanical garden with roughly 2500 different species of bulbous plants, is definitely worth a visit! True cheese lovers can make a trip to the lovely city of Alkmaar, famous for its cheese, which is about a half hour away by bicycle.